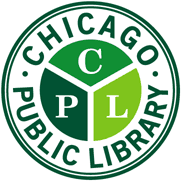 Stop by the library for gaming fun at Drop-In Games, 1:30 p.m. to 4 p.m. on Saturday, February 16, 2019, at the McKinley Park branch of the Chicago Public Library, 1915 W. 35th St., Chicago. The library provides a variety of new and traditional games for play at this event. Children under 11 years of age must be accompanied by an adult.